You got to love a shop that is run by a passionate biz mum. You will find that and more at The Coffee Apple in ringwood East. This toy store is the bricks and mortar version of the fantastic online store which used to run out of the family home. The physical space not only gives Helen back her lounge room, but also the opportunity for us to feel and touch our purchases too. The store is always welcoming and accomodating to the youngest customers too with plenty of things to play with while mamma browses and changes her mind seventeen times! Along side the toys there are lots of teaching aids, reward charts and items to make our lives easier too - have you heard about the sacks that store all the blocks?! 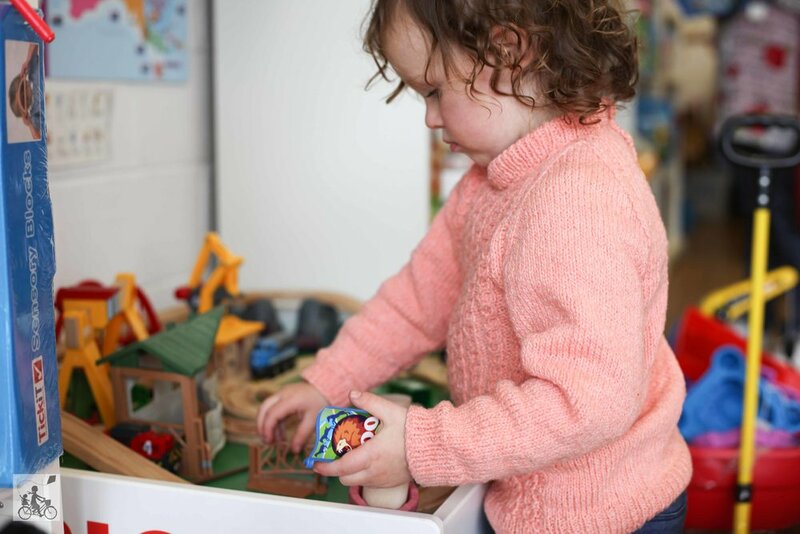 Helen is a great help as well with an extensive knowledge of her toys as well as the lovely ladies packing orders are always keen for a chat - or toilet training advice! Mamma's special mentions: The strip shops at Ringwood East has plenty of local treasures including The Fair Trader, Lelulah Boutique and The Younger Brother down the road for a real coffee!